What A scorcher! : 8 riders including Charlie our cycle instructor, 6 regulars and one newbie a young lady. Set off from Burgess Park 10 min past 10:00 heading for Jubilee Gardens via London Bridge, kept the ride very slow however we reached Jubilee Gardens at 10:50 and the whole group were wowed by the new ride (see photo) we all stood disbelieving of the nature and height of this ride. 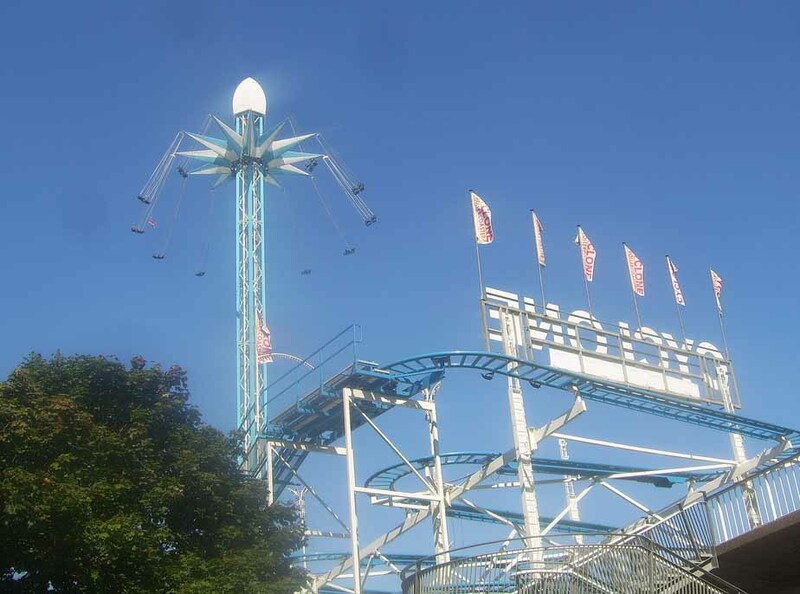 Most said they would go on the London Eye however most declined the new ride. All riders took in plenty of water (luckily I brought extra after seeing the weather forecast). The group had a 20 min stay at Jubilee Gardens taking in the sight , sounds and crowds and enjoying the summer sun. All arrived back safe and sound at Burgess Park @11:45 a tad early although we all took it very easy in the hot summer sun. 13 riders on a glorious summer morning. 4 new faces. Start/finish Peckham Square for Olympic Loop. Up to Potters Field to see the big screen. Not showing the Olympics at 11am when diving was being broadcast – unbelievable. Quick exit as bicycles banned from Potters Field by idiot Olympic edict. Along to Swiss base at Southwark Cathedral. Free chocolate truffles on offer – much appreciated. Over Southwark Bridge, past French Olympic base at Billingsgate, then past Tower of London (walking). Sadly ran out of time, so skipped the Danes in St Katherines (David very unhappy at missing out on Danish pastry). Back over Tower Bridge to Peckham Square. A crazy route - much too congested, but the Olympic theme was irresistible. 7 riders on showery morning. 8 mile loop from Peckham Rye Park Café taking in Camberwell Old Cemetery, Dawsons Hill, Dulwich Park, Herne Hill Velodrome, Camberwell Grove and Peckham Square. 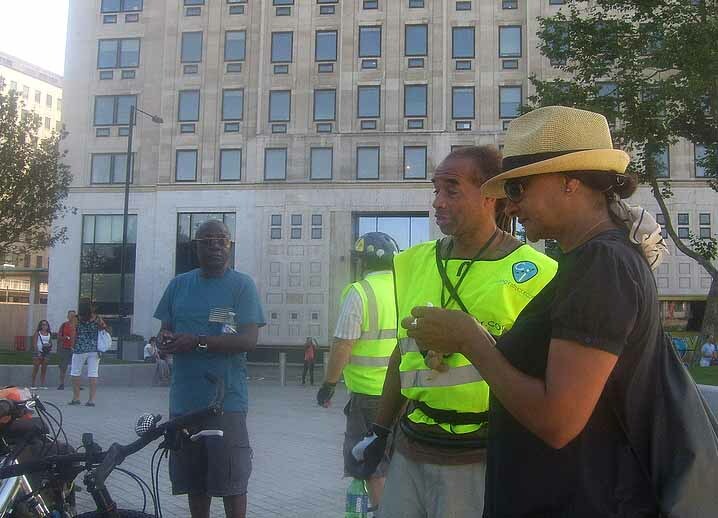 Next ride 10am Aug 11th, Peckham Square.